Is it snowing in Engelberg ?Thank you! Engelberg, in Switzerland (in the Central region), is a large resort with 24 lifts (2 gondolas/7 cable cars/funiculars, 8 chair lifts, 7 surface lifts) that offers skiers an incredible 2100 metres (6890 feet) of vertical descent. 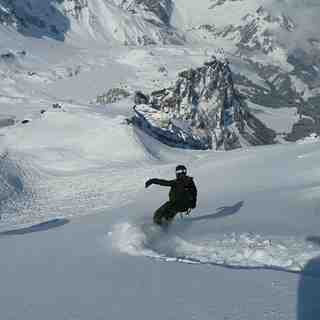 Engelberg has 200 acres of pisted terrain, with 25 runs over a total length of 82 kilometers (51 miles). Most of Engelberg's pistes are above 1800 metres and best suited to intermediate skiers and snowboarders, with some terrain lower down for beginners. 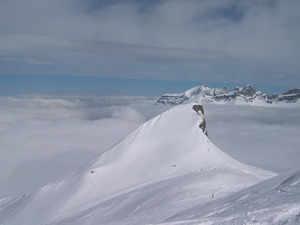 However, Engelberg has deliberately left much of its terrain un-pisted, making the resort especially popular with powder skiers and snowboarders. Much of the off-piste is easily accessible and perfect for confident intermediates, while for advanced and expert skiers and snowboarders there are cliffs, couloirs and genuinely extreme terrain. 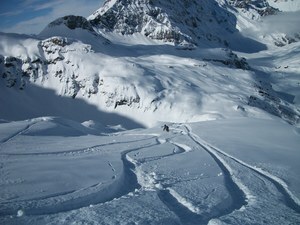 There are 36.5 kilometers (25 miles) of cross country ski trails at Engelberg. For snowboarders, there is a terrain park. 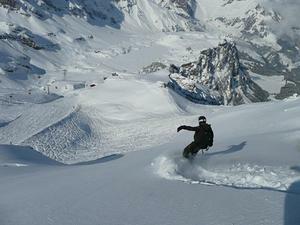 About 40% of the pistes at Engelberg are covered by snowmaking. The closest airports are at Zurich and Basel, each with a transfer time of 1.5 hours by road. There are rail services from Zurich airport to the resort and Engelberg can be reached by rail from most parts of the country. 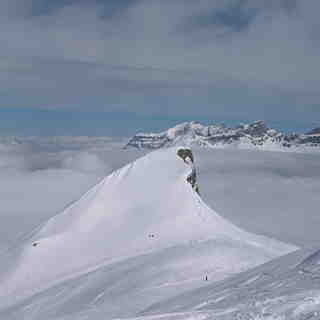 Engelberg is not a purpose built resort and there is limited accommodation located close to the pistes. Most of the resort's hotels have shuttle buses and equipment can be stored at the lift stations. Engelberg is easy to access by train; a day trip from Zurich is easy. It also has a long season and reliable snow, partly due to the glacier and that the slopes are north facing and/or otherwise in the shade for much of the day (but therefore can be cold). Lift infrastructure is more modern than Andermatt. Yes, there are a lot of Asian tourists, although I've seen this many other places in Switzerland (including Zermatt); summer and winter. There was a new cable car in winter 2015/16, now 16 mins and direct to Stand without a change half way (so bear in mind when reading old reviews). Many tourists still take the old train. So if you're on the lifts around 9am at the weekend, it's really ok and no worse than other big resorts across the Alps, in my view. Queues can be big to buy the ski passes, so recommend you get these online before you go: load them onto your Swiss Pass o keep an old Engelberg lift pass for this. Otherwise, there are some automatic machines outside, but you can't get your Snow n Rail discount this way. Once on the mountain, the main ski area has reasonably long slopes, and nearly all red/black in the main ski area. The area is split into two parts, connected by a horizontal chair lift, which is a bit annoying, and getting to/from this lift is not easy for a beginner. If you're a beginner, Engelberg is not a great resort. The purported blue run in the main ski area (right hand side of the map) is actually quite tricky, undulating from steep to flat (only a blue on average really), and frequently off-camber. The runs on the glacier are probably a better bet, being wide and consistent gradients, even if some red. There is, however, a very tame area of drag lifts on a lower part of the mountain (access by the mountain train), and a smaller ski area across the other side of town. I've never tried these, but they looked quiet.